DISCONTINUED – WHILE SUPPLIES LAST! 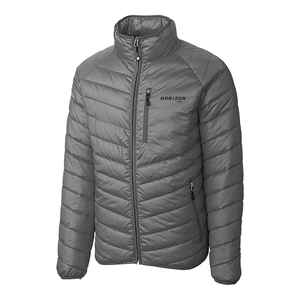 This jacket keeps you comfortable, whether it is -5 or 45 degrees. - Packed with 320 grams of warm insulation that stays in place. - The eft chest pocket, zip-front pockets, full-zip style, and elastic binding at the neck, cuff, and hem provide intelligent design details that keep you cozy. Machine wash cold, normal, tumble dry low with 3-4 tennis balls. Do not iron. Close all zippers before wash.